Trekking in Tibet presents a number of challenges for adventurous tourists but squatting over a shallow hole in the ground in order to relieve oneself will no longer be one of them, thanks a $173 million "toilet revolution." According to the China People’s Daily, Losang Jamcan, chairman of the Tibetan regional government, has set aside 1.2 billion yuan ($173 million) to help rural areas clean up their act. Some 2,000 new lavatories are set to be built in the Xizang Autonomous Region, reports China Daily. 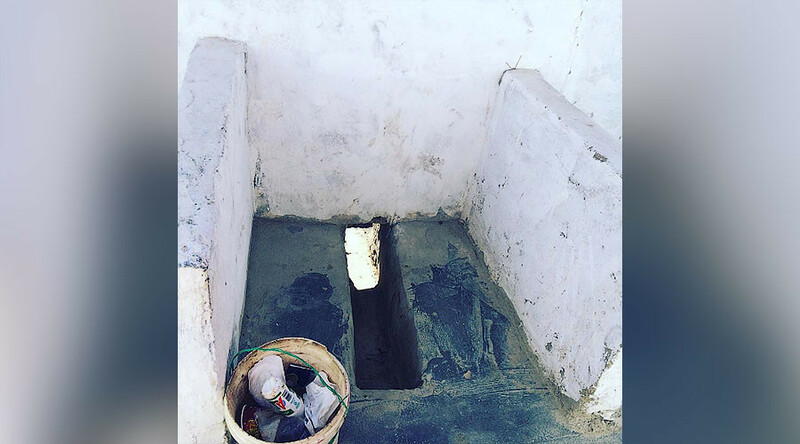 Trip Advisor and other travel sites are awash with scare stories of dodgy Tibetan latrines. “Chinese toilets might be dismal, but Tibetan toilets make them look like bowers of heaven,” a Lonely Planet post claims. People must be prepared both “mentally and physically,” one Trip Advisor user stated, while another recommended travelers to “practice your squat." China estimates that with 4.3 billion domestic and foreign tourists traveling in the country annually, there are 33 billion visits to public toilets each year. As a result, the nation has been waging a toilet revolution since 2015, when the country’s national tourism administration announced plans relieve falling lavatory standards and build 100,000 new crappers in major tourist areas. Locations of where the new toilets will pop up are listed on the China National Tourist Office website and include provinces Jilin, Sichuan, Zhejiang, and Inner Mongolia. As for those who just can’t get enough of extreme public toilets, they can still enjoy the famous Siberian “lonely loo,” looming over a precipice at 2,600 meters above sea level. Located at a Russian weather station in the Altai Mountains, the scary-looking wooden structure is balanced on a plank held by rocks. On the plus side, it does boast one the best lavatory views in the world.